Joining the Skylow 2 in SUPRA Footwear's Vintage Pack is the low-top version of the Cuttler, which uses the vintage treatment to showcase its simple lines and low profile. Joining the Skylow 2 in SUPRA Footwear's Vintage Pack is the low-top version of the Cuttler, which uses the vintage treatment to showcase its simple lines and low profile. 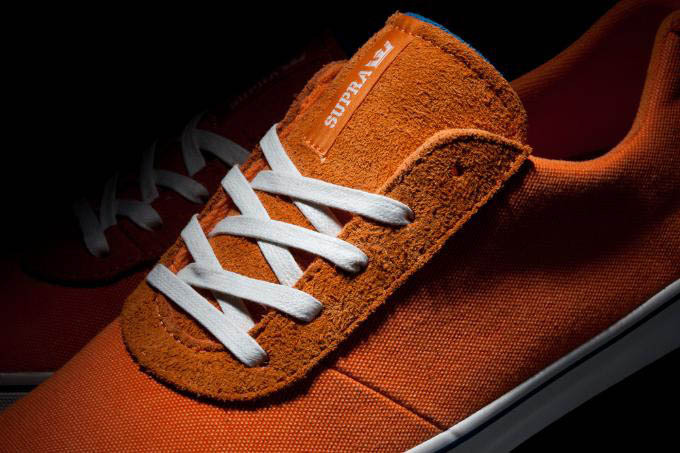 The upper is dressed in plush orange suede and canvas, helped by white on the laces and tongue branding. 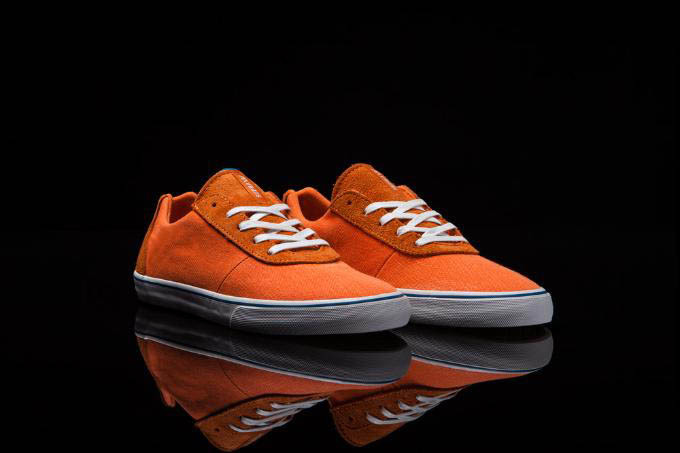 Blue works the tongue lining, vulcanized sole and a stripe that runs around white foxing tape. 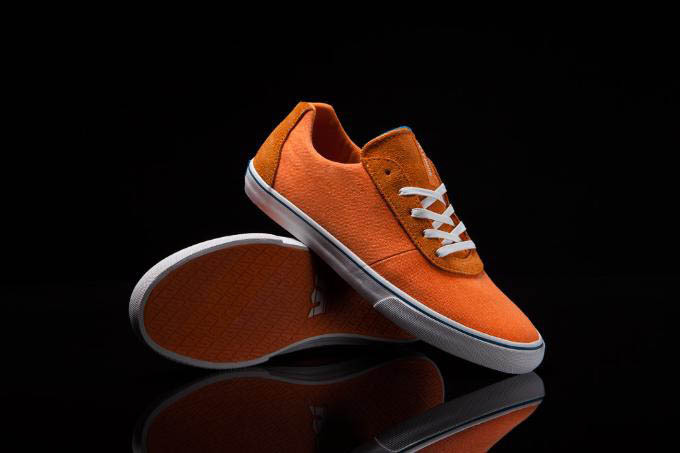 The "Vintage" Cuttler Low is available now at SUPRA Footwear and skate retailers worldwide.